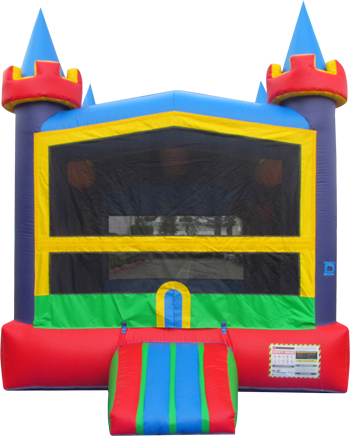 This Lucky castle bouncer is a great way to make your party fun for all with its vibrant colors and unique design. It has a 15x15 bounce area with a baketball hoop inside. There is also a safety ramp on the front and plenty of room for viewing with windows on all four sides. Rent this bouncer for your next party or event.